Abstract: The Chaos Theory of Careers (Pryor and Bright, 2003ab) was first published 15 years ago. At that time the authors were dissatisfied with the extant approaches to career development. In particular they highlighted that the dominant approaches belied their positivistic assumptions of rational decision-making, and relatively stable and unchanging decision-makers operating within a relatively stable and predictable environment. Abstract: Existing studies on internship effectiveness in enhancing career development are scarce and yielded inconclusive results. Employing a pretest-posttest design, this study examines systematically the impact of internship experience on various aspects of career development. The longitudinal sample consisted of 94 second year and third year university students who participated in overseas internships lasted for 1-2 months in a university in Hong Kong. Pretest was conducted prior to internships and posttest upon completion. Results showed that participation in an internship significantly increased students’ career exploration, career decidedness, vocational identity and self-perceived employability. Moreover, science and engineering majors showed significantly higher increase in self-perceived employability as compared to social science students. Limitations of the study, as well as its implications for research and practice are also discussed. Abstract: Countries and educational jurisdictions are finding innovative ways to use technology to enhance teenagers’ career readiness and engagement in career development. Countries like Canada are known to seek creative solutions for high school students. This paper examines the impact of ChatterHigh, winner of the 2017 Canadian Educational Technology of the Year, on users. Results of this study reveal that ChatterHigh usage has a positive impact on students’ access to relevant career and labor market information, awareness of post-secondary and work opportunities, engagement in school and personal career planning, preparedness for transitions, and hope for the future. This paper also identifies the need for career development tools in countries such as China, which have been facing significant systemic challenges to support their students due to a myriad of historical and cultural factors. 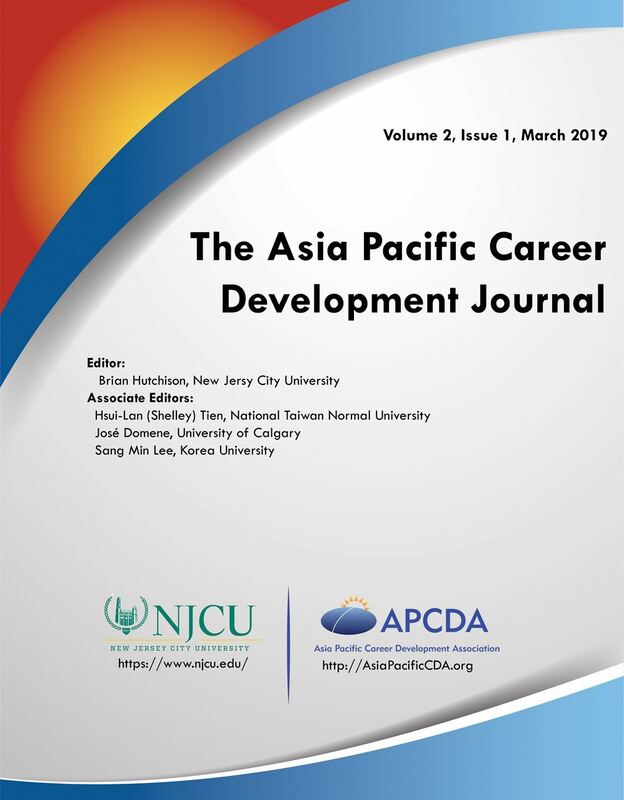 The Asia Pacific Career Development Journal (APCDJ) is an international biannual publication dedicated to all career development and intervention related topics. It is the official journal of the Asia Pacific Career Development Association (APCDA; www.asiapacificcda.org). The journal welcomes submissions focused on, but not limited to, the following topics: career counseling, individual and organizational career development, work and leisure, career education, career coaching, and career management.